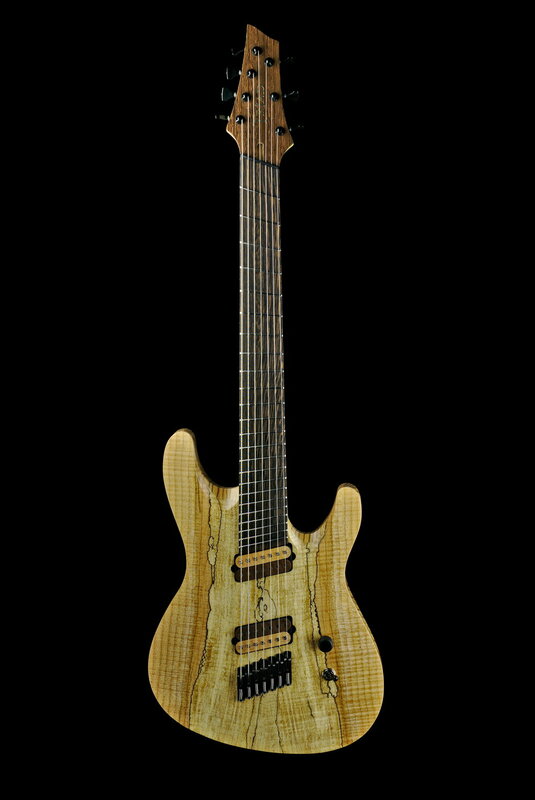 Custom electric guitars handcrafted in Sherwood Park, Alberta, Canada. 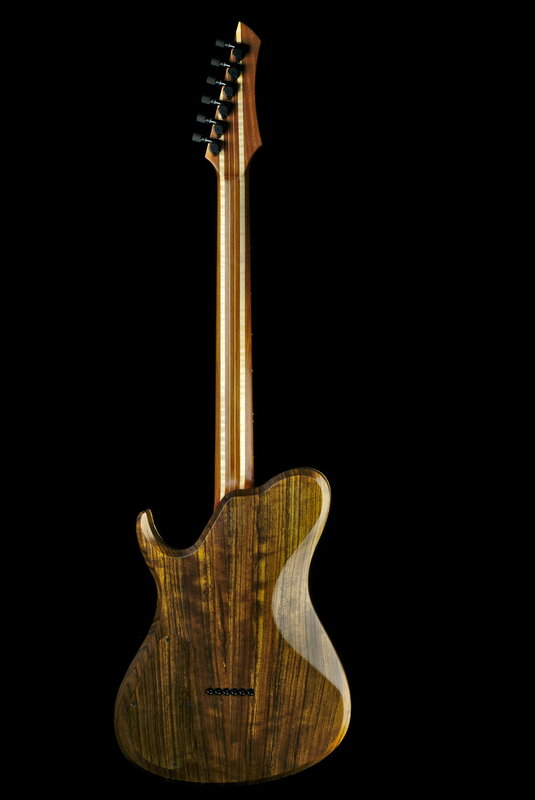 Our standard features include Hipshot hardware, stainless steel Jescar frets, our own custom hand wound wood bobbin pickups, multi laminate necks, and a 25.5" scale length. Contact us to get a build started. 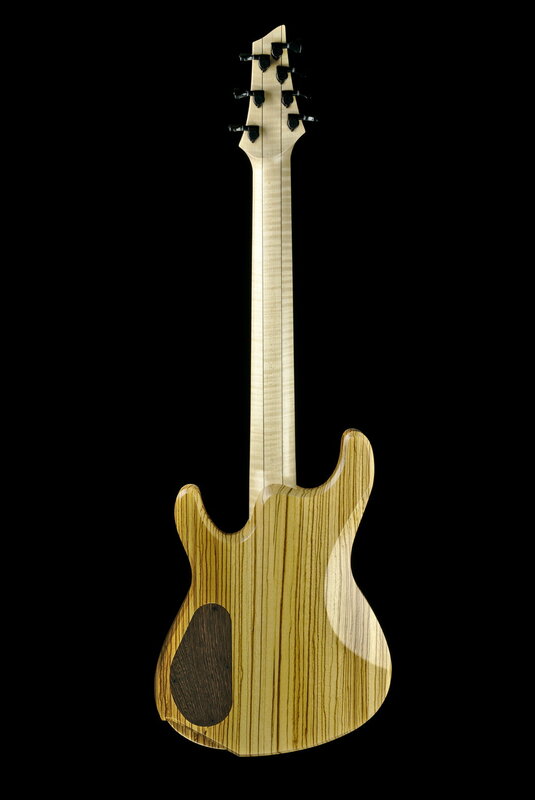 We design and hand wind our custom wood bobbin pickups in our shop. The bottom half of the bobbins are CNC machined from hard maple, with the top half machined from the wood of your choosing. They are glued together and sanded smooth before hand winding and wax potting. 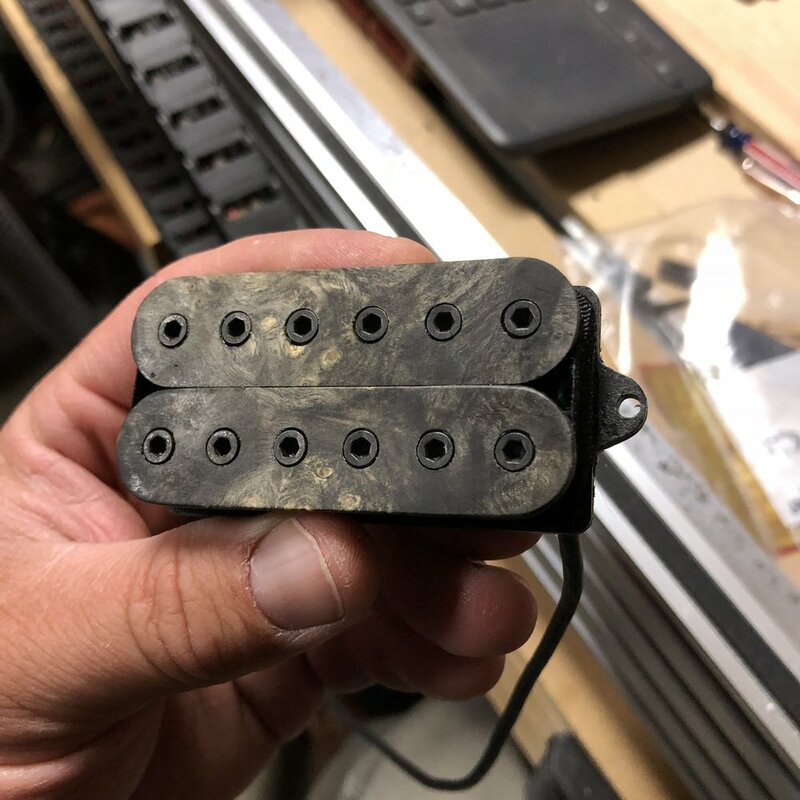 Because our pickups are custom designed and built in house, we can accommodate special requirements such as custom pole spacing and slanted pickups for multiscale instruments. 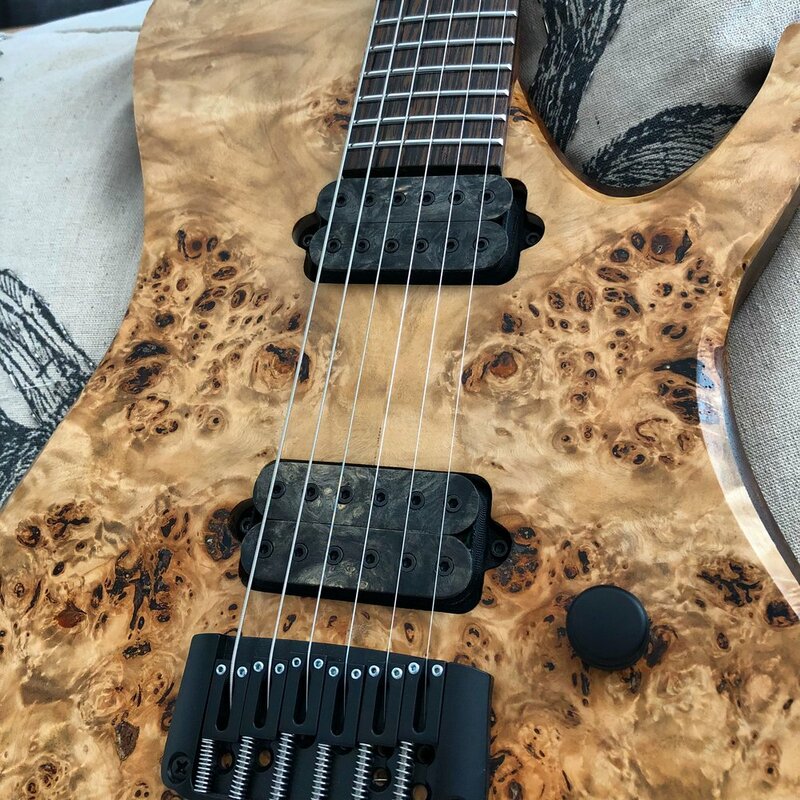 Need pickups for a new build? 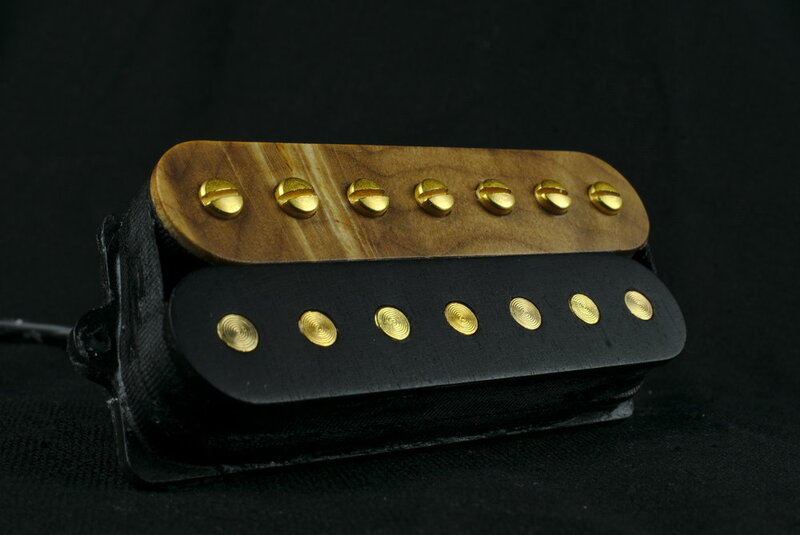 You can send us off-cuts to incorporate into your pickups. We can also provide cavity routing templates.